Original Cannabis Tour + Concentrates Extract Class + Cooking with Cannabis Class, Learn it all! Join us for a 3-day (Fri, Sat, Sun) marijuana extravaganza with this limited time 3 event package deal! Get a ticket aboard our Original famous Colorado Cannabis Tour plus TWO cannabis classes. Concentrates (Hash/Extracts) and Terpenes Class and the Introductory Cooking with Cannabis Class. Save over $100 on this limited time special Cannabis Pro package! 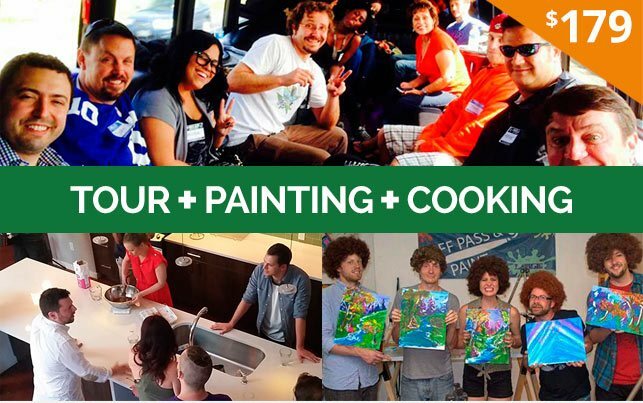 Cannabis Tour + Painting, Pottery, Cooking, or Concentrates (pick 2), Oh My! Join us for a 2 day weed extravaganza with our 3 event package deal! Get a ticket aboard our famous Cannabis Tour plus TWO cannabis classes. You're choice of Painting, Pottery, Concentrates/Extracts and marijuana Cooking (pick 2). Save over $100! Only $179 per person! Enjoy the best of both worlds with our Denver and mountain resort package deal. Start with a 420 friendly airport pickup when you arrive and immediately be taken to one of the city’s best dispensaries before traveling to your luxury downtown hotel. Once there, relax and enjoy your fireplace suite while you puff on your vaporizer. On Saturday, you’ll attend our world famous Cannabis Tour from 12:00-4:20pm. Saturday evening from 7:00-9:00pm attend a Puff, Pass and Paint class. Guests have the option of also attending our Cannabis Cooking Class (extra charge applies). Sunday Morning you’ll be transported to our Winter Park accommodations to stay in our fireplace mountain view king suite while you enjoy 2 days of the winter activities of your choosing. Choose from snowmobiling, tubing, downhill ski or snowboard, snowshoeing or Snowcat Tours. Depart to Denver on Tuesday morning. Transportation included from DIA to the Downtown hotel, Downtown Denver to the mountains and back to the airport. Other transportation needs can be accommodated through Uber, Lyft, hotel shuttle, RTD or Light Rail. Uber and Lyft vouchers for first time users included with each package. + Add 2 person tubing passes to any package for only $40! Come for the Cannabis, stay for the skiing! Our five day ski/ snowboard package is specifically designed for the alpine enthusiast. Choose from 4 levels of comfort in our marijuana friendly hotel by the slopes. 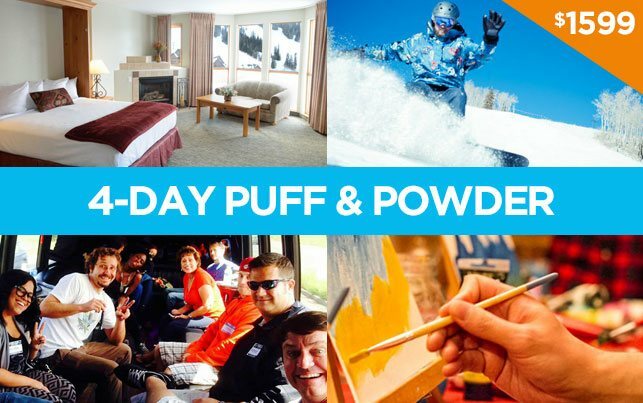 All packages include 420 friendly transportation from Denver International Airport including a dispensary stop with discounted product on the way to the hotel, vaporizer and dab rig rental, and a 3 out of five day ski pass to all seven ski territories at Winter Park Mountain Resort. Packages must be purchased at least 48 hours in advance to receive advertised rate, seasonal rates subject to change. Call 303-420-TOUR for pricing and availability. Do you consider yourself a foodie at heart, or just want to learn as much as you can about infusing different meals and treats? Take all three of our HIGHLY reviewed classes with our personal executive chef. This package includes 1 ticket to each of our edibles events, Introductory Cooking with Cannabis, Advanced Cooking with Cannabis, and our Cannabis Infused Dinner. Seating is limited, hurry and book your package now and save! Enjoy the best of both worlds with our Denver and mountain resort package deal. Start with a 420 friendly airport pickup when you arrive and immediately be taken to one of the city’s best dispensaries before traveling to your Luxury Downtown Hotel. Once there, relax and enjoy your oversized king room with garden tub while you puff on your vaporizer. Attend our Cannabis Cooking Class with our executive chef. On Saturday, you’ll attend our world famous Cannabis Tour from 12:00-4:20pm. Saturday evening from 7:00-9:00pm attend a Puff, Pass and Paint class. Sunday Morning you’ll be transported to our Winter Park accommodations to stay in our mountain or forest view king room while you enjoy 2 days customized with the summer activities of your choosing. Choose from guided mountain hikes, horseback riding, mountain biking, river rafting, fishing, zip lining, hot air ballooning, or a visit to Indian Hot Springs. Depart to Denver on Tuesday morning. Transportation included from DIA to the Downtown hotel, Downtown Denver to Winter Park and back to the airport. Other transportation needs can be accommodated through Uber, Lyft, hotel shuttle, RTD or Light Rail. Uber and Lyft vouchers for first time users included with each package. Summer activity options and prices listed below. Customize your package from the selections below, or change Winter Park for Boulder by calling 303-420-TOUR (8687)! Not all package activities available in Boulder. *For tours that take place on national forest land, please DO NOT bring ANY Cannabis with you! ** For tours that will include strenuous or dangerous activity, please do not consume ANY Cannabis directly before taking the tour. Come for the Cannabis, stay for the adventuring! 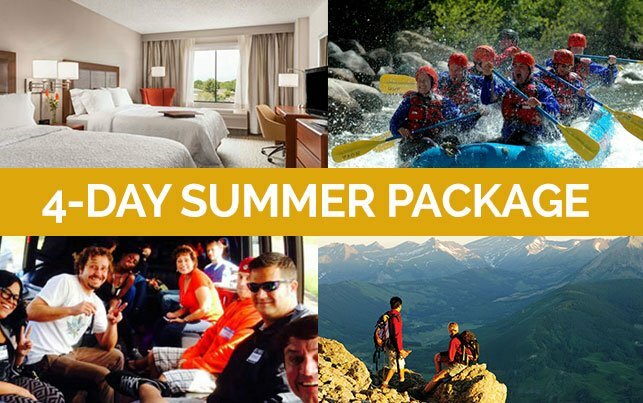 Our five day Boulder Adventure package is specifically designed for the adventure enthusiast. Choose from a variety of lodging options in our marijuana friendly lodge by Boulder Creek. All packages include 420 friendly transportation from Denver International Airport including a dispensary stop with discounted product on the way to the hotel, vaporizer and dab rig rental. Call 303-420-TOUR for pricing and availability. Hotel packages start at $420 and include 2 nights Queen size room accommodations at our Boulder Mountain Lodge. Call 303-420-TOUR for custom quotes and availability! Customize your vacation by choosing one or mix and match any of our package combinations from the list below! 2 night stay at our central Denver location in a King room, 2 tickets to the Marijuana Tour and 2 day vaporizer rental - a $60 savings! 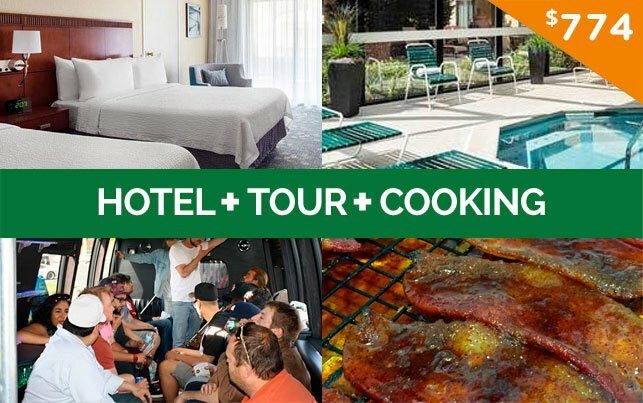 2 night stay at our Denver East location in a King with Mountain view room, 2 tickets to the Marijuana Tour, 2 tickets to the Cooking Class, vaporizer rental with dab rig, free airport pickup and drop off service (not 420 friendly) - a $80 savings! 2 night stay in a King Suite at our Downtown hotel, 2 tickets to the Marijuana Tour, 2 tickets to our Cooking Class, 2 tickets to Puff, Pass and Paint, vaporizer rental with dab rig, free breakfast and 420 friendly airport pickup and drop off service. - a $120 savings! + Add 2 in room Cannabis Infused massages for a total of $1299 - over $170 in savings! Check out everything Colorado has to offer for the biggest Cannabis party on the planet! April 20th week Colorado will feature the infamous High Times Cannabis Cup, while Denver has 420 Rallies, Tours, Concerts and tons of cannabis events. Let us be your one stop concierge for everything 420!